One of my favorite home remodeling blogs (offices located in California), has a very interesting article on how to deal with an under-used dining room. 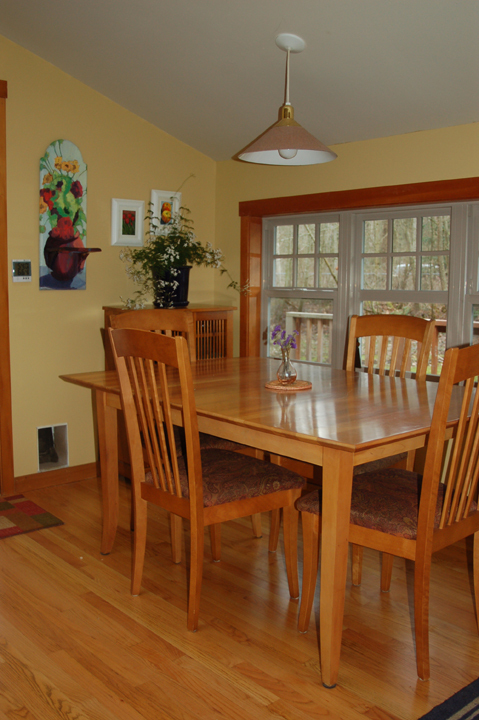 Check out Jeb Design/Build Blog for his ideas on how to get more use from this space and still keep it a dining room for those more formal occasions. Jeb’s blog article brings out that enclosing the “clutter” in cabinets with wood doors (not clear glass) and utilizing antique cabinets, for instance, give the space a more clean, relaxed and when required, formal appearance. But, you still have all the items right there – they are just out of sight. “Versatile furniture and room planning are the keys to an effective mult-use room.” The photo below is from a Better Homes & Gardens blog. You can check out the “before” photos on their website. The room had been rather stark and uninteresting, and appropriate only for sitting at a table and eating! Now it has a warm inviting look and when you check out the rest of the photos you will see some very nice additional features.